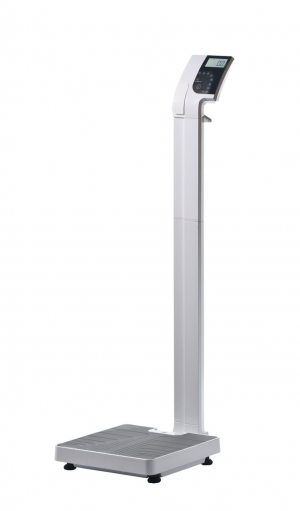 Measuring and weighing in a single step – that is why the EMR ready column scale seca 704 s was developed. In addition to the patient’s weight, the patient’s height is also precisely measured with an integrated measuring rod up to 230 cm. The seca 704 s automatically determines the BMI from these two values. The results can immediately be sent wirelessly to a printer or EMR. Intelligent details simplify operation so the display can be operated when the patient is still standing on the scale and reading the measuring rod is easy through the printing on both sides. Using the time-saving TARE function, also known as the mother/child-function in pediatrics, the child can be weighed in its mother’s arms without disturbance. The previously stored body weight of the mother is subtracted so that only the weight of the child is obtained. The heel positioner also makes reproducible height measurements possible by means of 3-point measurement. When weight, height and BMI have to be obtained, the new seca 704s can do it all for toddlers to obese adults. The seca 704s with integrated measuring rod is a complete measuring station that can measure both weight and height in just one time-saving step. Measurement data from the seca 704s can be transmitted by the time-saving seca 360° wireless technology to the software seca analytics 115 on your PC or to the 360° wireless printer advanced seca 466 or 360° wireless printer seca 465. If that’s what you want. The scale’s 300-kg capacity can handle anything! 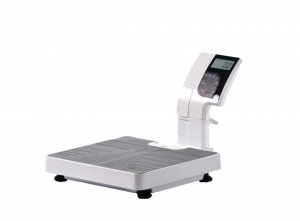 Overweight or obese patients can easily step onto the large and flat platform of the seca 704s. Thanks to the scale’s solid cast-iron base and the platform’s slip-proof ribbed rubber coating, nothing wobbles or threatens the patient’s secure stance. Pre-TARE, Mother/Child function, HOLD and Auto-HOLD speed up the weighing process. Do you want to deduct the stored weight of the patient’s clothing, for example, from the patient’s weight? Just press Pre-TARE. Or do you want to weigh a child in his parent’s arms? Use the Mother/Child function. You can quickly store a weight to read-out later by pressing the HOLD key. You may choose to activate the Auto-HOLD key via the menu. Paperless and error-free wireless transmission of measurements. of measurements. The seca 360° wireless technology lets the seca 704s transmit all measurements to an optional 360° wireless printer. The network capable software seca analytics 115 or the seca emr flash 101 with USB Adapter seca 456 can receive and analyze measurements sent to your PC and forward them to an existing Electronic Medical Record (EMR) system. This capability makes the seca 704s EMR integrated and ready to handle all the EMR requirements expected in the future. When weight, height and BMI have to be obtained, the new seca 704s can do it all for toddlers to obese adults. The seca 704s with integrated measuring rod is a complete measuring station that can measure both weight and height in just one time-saving step. Measurement data from the seca 704s can be transmitted by the time-saving seca 360° wireless technology to the software seca analytics 115 on your PC or to the 360° wireless printer advanced seca 466 or 360° wireless printer seca 465. 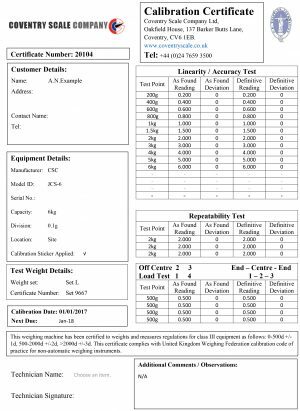 Please click here for the Seca 704s data sheet …..